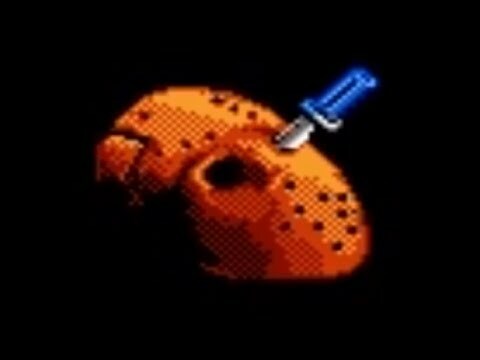 OverviewFriday the 13th puts players in the shoes of one of six counselors at Camp Crystal Lake and tasks them with using any weapon they can find to save the children hiding in cabins spread out across the camp grounds from Jason's murderous rampage. A tedious, boring game based on the long running horror franchise. 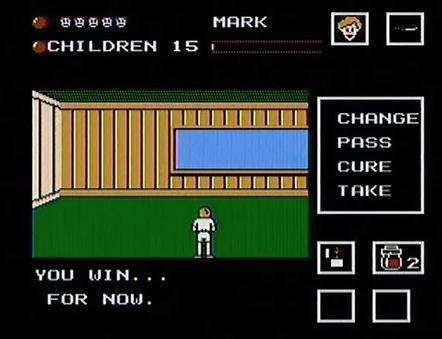 You play as a camp counselor running around trying to save the kids and fight Jason. 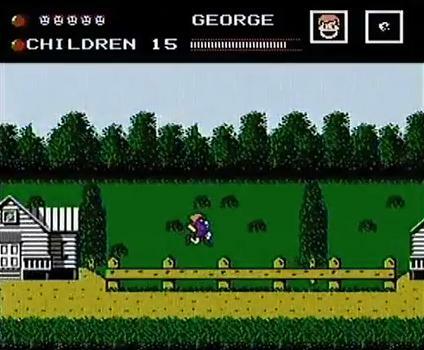 This game has a lot of problems, and you'd be better off watching the first movie. 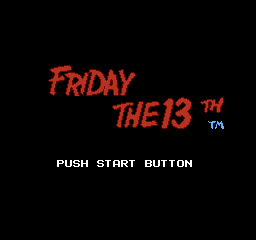 Friday the 13th is a game based on the horror movie franchise of the same name. 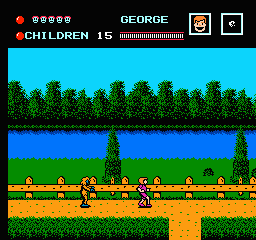 It was developed by Atlus and published by LJN in 1989. 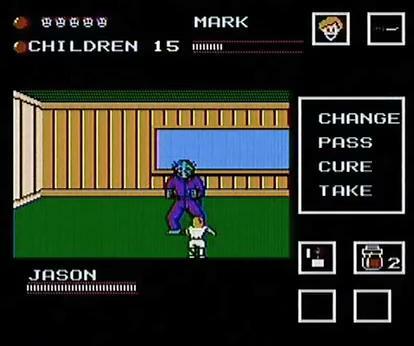 A drawback to this game is that it tends to be tedious, what with children constantly in need of saving at unexpected times, and I often found myself unable to get to them in time. And the map works in an odd way, seemingly reversed. But it is quite easy to get the hang of. And other than those flaws, the game is not that bad. Not great by any stretch of the imagination, but it is solid for an hour of fun. 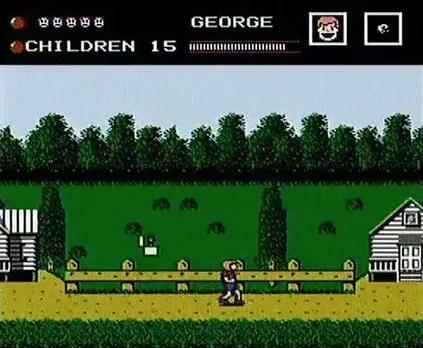 Wow, this game is horrible. The game play is tedious. 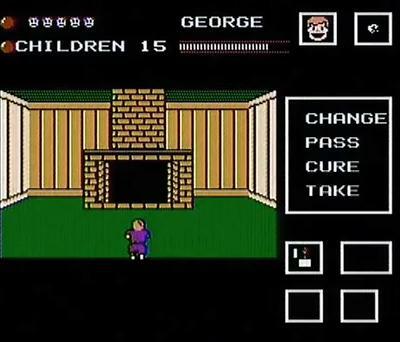 Every time you throw a rock, it arches over the enemy, so you always have to duck. 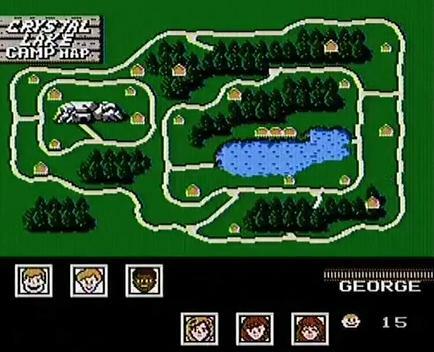 The map is really confusing, and you can EASILY get lost. It is extremely frustrating and difficult to know what you are suppose to do. And what do you expect? 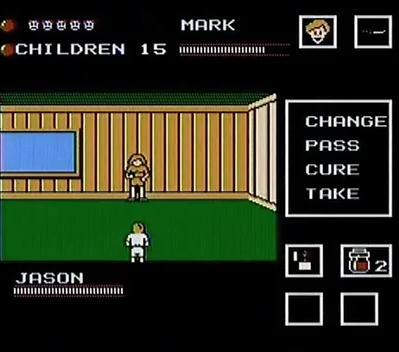 LJN made this atrocity, and it's one of the worst NES games out there. Now you can add videos, screenshots, or other images (cover scans, disc scans, etc.) for Friday the 13th (USA) to Emuparadise. Do it now!